No, this is not referring to the in-laws or the aunt who has overstayed her welcome after the long holiday season. Getting rid of those kinds of unwanted guests in your home is another topic for another business. What this article is referring to are the wildlife creatures who constantly seek out warm, dry, and safe environments in which to nest and hide from the elements outside. These animals, such as bats, squirrels, birds, chipmunks and other critters can be cute in their own environment, but when they infiltrate your home, they can cause damage and even pose potential health risks to you and your family. It’s time to do something about those unwanted guests. Many animals are nocturnal, meaning they come out at night to hunt for their food. The reason for this is basic survival. Through millions of years, these small creatures have learned that it is safest for them to hunt under the cover of darkness. For you, it means that you might hear increased activity and noises from certain parts of your home. Too many homeowners simply think that they hear more at night because the activity of the daytime is down to a minimum. It’s not. What it is is an indication that you may have creatures making their home within your own. Too often, when homeowners realize that they have these uninvited and unwelcome guests in their home, they call and exterminator to get rid of them. That may seem like a reasonable solution, but exclusion using the Batcone system is a much more effective, sound, efficient, and environmentally conscious way. While an exterminator will likely get rid of the problem pests for you, it doesn’t ensure that another group won’t find your home attractive and decide, since there’s no one occupying any longer, to make it their own. That means that the noises that you thought were gone for good may make a return, but from a different creature. 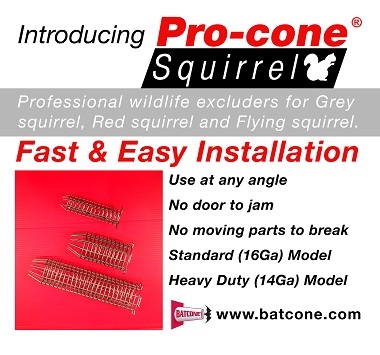 The Batcone exclusion system safely removes the unwanted animals from your home without causing them any harm, and ensures that they will not be able to return. It also ensures that there will be no other creatures, big or small, that will decide to set up shop in your home just because the previous residents are no longer there. While squirrels and many birds are not endangered species, bats are currently facing a serious health risk to their populations. Millions are dying off throughout the Northeast United States and experts still have no idea why. Since bats are crucial to the ecosystem, as well as their penchant for devouring some of the most annoying biting insects, it is important that we, as homeowners, consider the ramifications of killing them off when they are healthy. 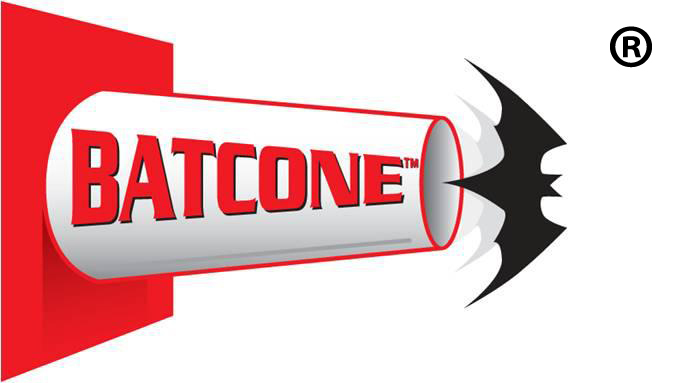 Using the Batcone exclusion system helps protect bat populations as well as other species while ensuring that your home will no longer be a nesting ground for all types of creatures, big or small.